If you are strapped for cash but still need a website there is no need to sacrifice quality or style. 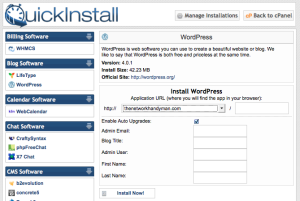 WordPress is a user friendly system when combined with Cpanel hosting it is very easy to setup. You can register a site in many places. I recommend Register.com. Network Solutions is also a good option. Not a fan of godaddy personally. Login to your domain name service and find “DNS Servers” or “Nameservers” and change them as needed for your hosting. You’ll receive an email when hosting is all setup. 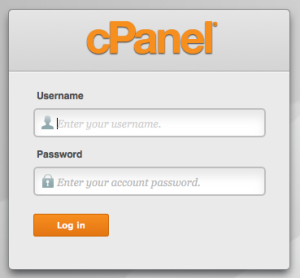 If your domain nameservers have configured quickly you can login at cpanel.yoursitedomainhere.com with most hosting companies. If hosting with vigilant it’s cpanel.vigilantwebsites.com or login to our billing portal and click the login link. Using “Quick Install” is easiest. Security Tip: Do NOT use “Admin” as your username. Automated bots that exploit websites know that admin is the most common and will use this against you. Pick something else. You will be given a password at completion of the install process. You can keep this password or change it after logging in. If you ever need to hard reset your password you can use quick install do do so by clicking “Manage Installations” and the “gear” icon. I recommend installing an “under construction” plugin while you are working on your site. Happy WordPressing. If you have questions use the contact form. There are TONS of videos on youtube about how to use wordpress but if you need a custom tutorial about a subject and can’t find it on youtube let me know.